On the 18th of August has begun the harvest of grapes from which all Ferrari Trentodoc wines are created. After a complicated year like 2014, this year is guaranteed to be better. “The beginning of the harvest is always an optimistic moment, even in the face of very hot temperatures which caused some problems with dehydration and maturity. This year it is yet again the mountain vineyards that will make the difference, demonstrating that Trentino is truly a land made for growing grapes used in the production of sparkling wine even and especially in extreme and difficult growing seasons. 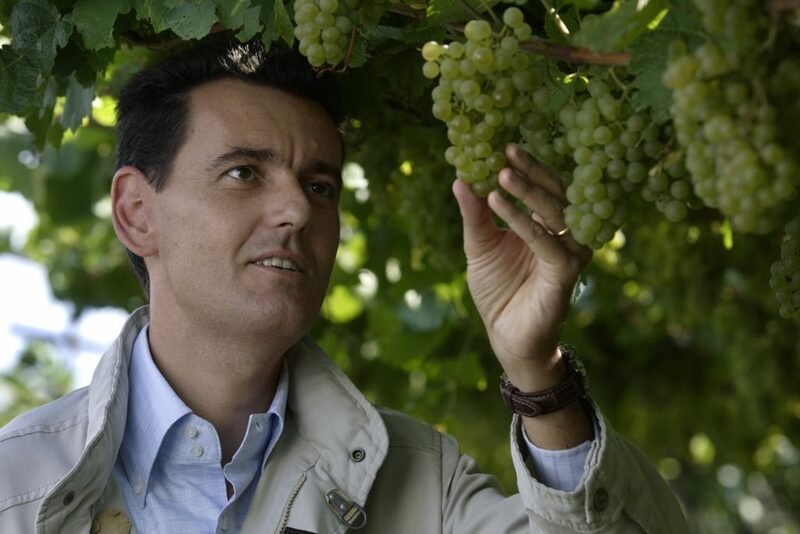 The next step taking place in the winery will be the selection of the grapes which will fortify the characteristics of the Chardonnay and Pinot Nero grapes used as the foundation for all our Trentodoc wines”, says Marcello Lunelli, Vice President and Technical Director of the Group. An average spring with the summer period very hot with high temperatures ranging well above the normal seasonal limits mandated an early grape harvest, by more than a week earlier than seasonal standards. The far-sighted vision that propelled Ferrari Winery to convert all its own vineyards to organic practices and the selection of only medium to high altitude areas served yet again this year in making the difference in assuring a good quality Chardonnay and Pinot Nero grape as the basis of all the Ferrari Trentodoc wines. The strong diurnal temperature variations in the mountain vineyards has, in fact, helped the maturation of the bunches against the high temperatures of the last weeks and limiting the lowering of the total acidity, keeping stable the delicate equilibrium of the sweet component. The other contributing vineyards, cultivated directly under the supervision of Ferrari agronomists, produce great results thanks to the work which, also in this case, is tied directly to the sustainable protocols aptly named, Ferrari Vineyards, designed for a healthy and sustainable mountain viticulture and certified by the CSQA.